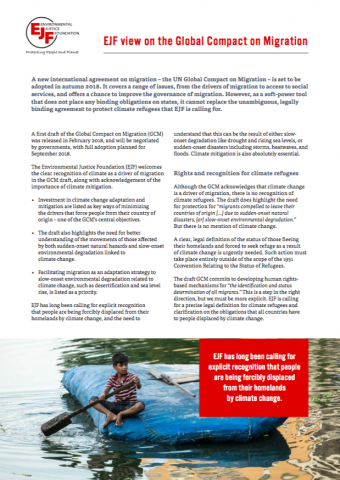 EJF view on the Global Compact on Migration: Although the new international agreement on migration is a step forward, it cannot replace the legally binding agreement to protect climate refugees EJF is calling for. 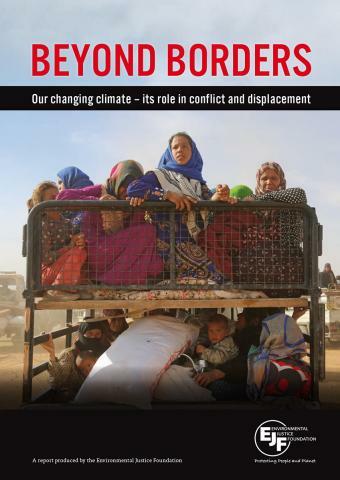 A new international agreement on migration – the UN Global Compact on Migration – is set to be adopted in autumn 2018. 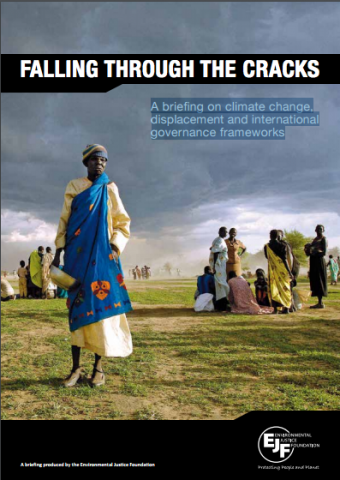 It covers a range of issues, from the drivers of migration to access to social services, and offers a chance to improve the governance of migration. 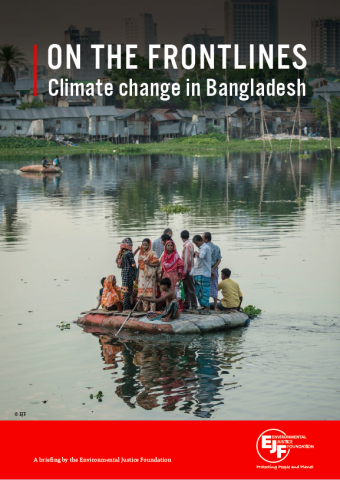 However, as a soft-power tool that does not place any binding obligations on states, it cannot replace the unambiguous, legally binding agreement to protect climate refugees that EJF is calling for. 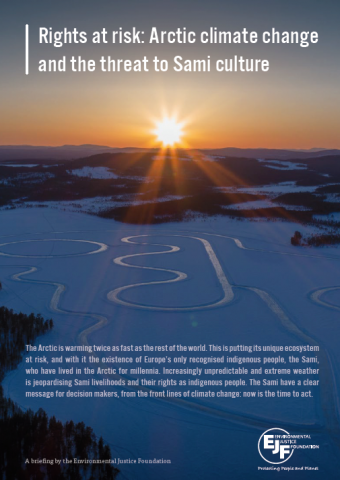 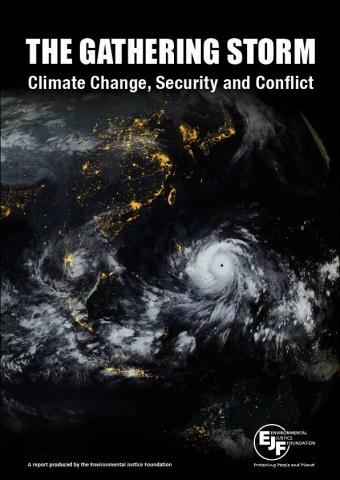 Beyond Borders: Our changing climate – its role in conflict and displacement: This report looks at the impact of climate change on food production and security, and the ways in which people are driven from their homes and lands by slow-onset weather events. 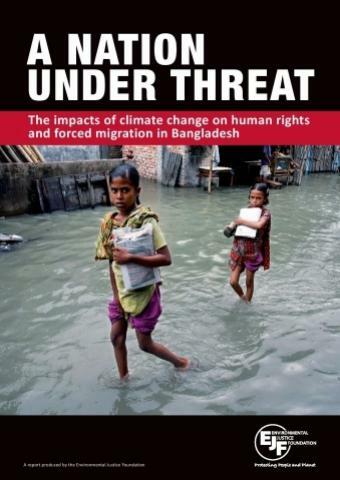 A Nation Under Threat: The impacts of climate change on human rights and forced migration in Bangladesh: The report explores how climate change has become one of the major challenges to the enjoyment of the basic rights to life, food, health, water, housing and self-determination in one of the World's most climate vulnerable countries. 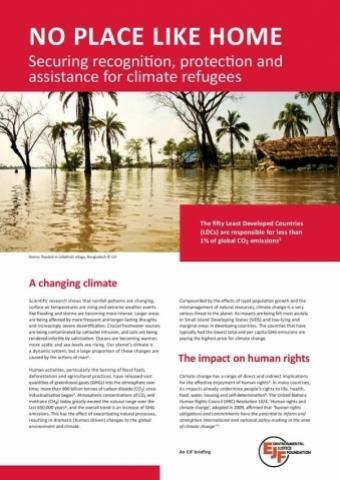 Securing Recognition, Protection and Assistance for Climate Refugees: An EJF briefing outlining the legal void facing environmentally-induced displacees with recommendations for action for national governments and individuals.